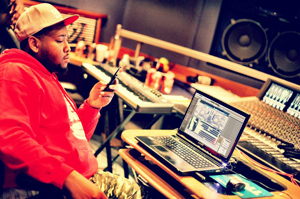 Matthew (Boi-1da) was Born in Jamaica and moved to Canada when he was five, and grew up in Toronto. When he was eight, his mother bought him a Casio keyboard and by 15 he started using FL Studio. A few years later, he won three consecutive Battle of the Beatmakers championships and from then on his career exploded. I got started with music at the age of 15, a friend had told me about FL Studio, I ended up going out and getting a copy of it and using it ever since. My first impression of FL Studio was the fact that it was very user friendly and easy to understand, I learned the basics of it within an hour of use. With my FL Studio I use an M-Audio Axiom MIDI keyboard to do my production. Fireface RME USB external sound card with a pair of KRK 6's & a sub woofer. I use a lot of virtual instruments as well, too many to name or to say any is a favorite though.